* Mt. 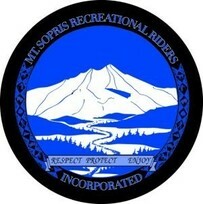 Sopris Rec Riders Club(MSRR) negotiate the parking and trail head access at both Marion and Sunlight with private landowners and pay a yearly fee. * MSRR grooms over 100 miles of the S-P trail system (sunlight to powderhorn) The groomer goes out several times a week in the winter season. *MSRR club members and other volunteers help maintain the 100 miles of S-P trails by working closely with the Forest Service . In the summer trails are cleared from debris and other hazzards, trail markers diamonds and signs are replaced as necessary . In the winter, trail markers are placed for all outdoor enthusiast . * The printing of our trail map system is made possible by Map Sponsors. MSRR coordinates with (2) other clubs and (3) National Forests before these maps are printed each year! * MSRR along with the Colorado Snowmobile Association, White River Forest Alliance and other Colorado Recreation Clubs work together to keep the public informed of our rights and potential threat of our Public Land Use being taken away from us. + CSA - Colorado Snowmobile Association representation. OR SCROLL DOWN TO JOIN ON LINE! Please scroll down after picking and adding a membership to your cart there are additional options for grooming donations . Already a member of another club and paid CSA membship ?